Ning Li is a professor and Vice Dean at the Academy of Disaster Reduction and Emergency Management of Beijing Normal University. She holds a Ph.D degree in environmental biology from Tottori University of Japan. She specializes in weather dynamics and climate disaster, meteorological environmental science, disaster loss assessment and risk management. Her research interests are on modelling climate change and disaster loss assessment. 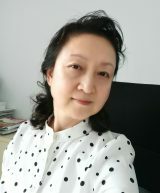 Professor Li has coordinated several projects, including National Basic Research Program of China (973 Program) “Global change and environmental risk’s evolution process modelling”, National Natural Science Foundation of China and international cooperation projects. She has worked in over 100 research publications. 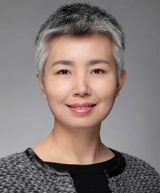 Dr. Saini Yang is a full professor of the State Key Laboratory of Earth Surface Processes and Ecology Resources, and the director of Internationa Center of Collaborative Research on Disaster Risk Reduciton, Beijing Normal University. She got her PhD degree from the University of Maryland, College Park in 2006 , majored in Civil and Environmental Engineering. Her research interests include infrastructure risk assessment and risk management, modeling and simulation of complex system. Dr. Saini Yang has published more than 30 peer-reviewed journal papers in recent five years and is the PI of multiple national research projects and international collaborative research projects. Dr. Saini Yang serves as the secretary of the Asia Science and Technology Acadmia Advisory Group of UNISDR and is the secretary of the Global System Science.